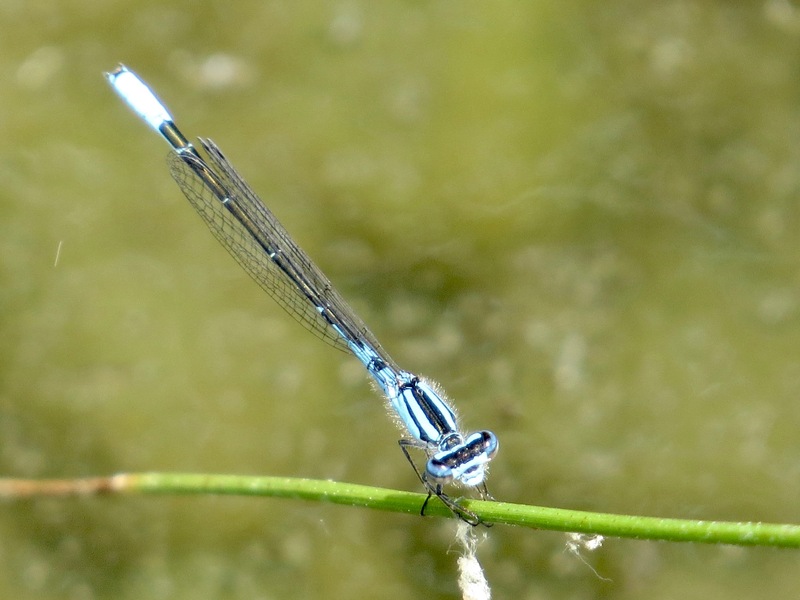 Azure Bluet (Enallagma aspersum) male. 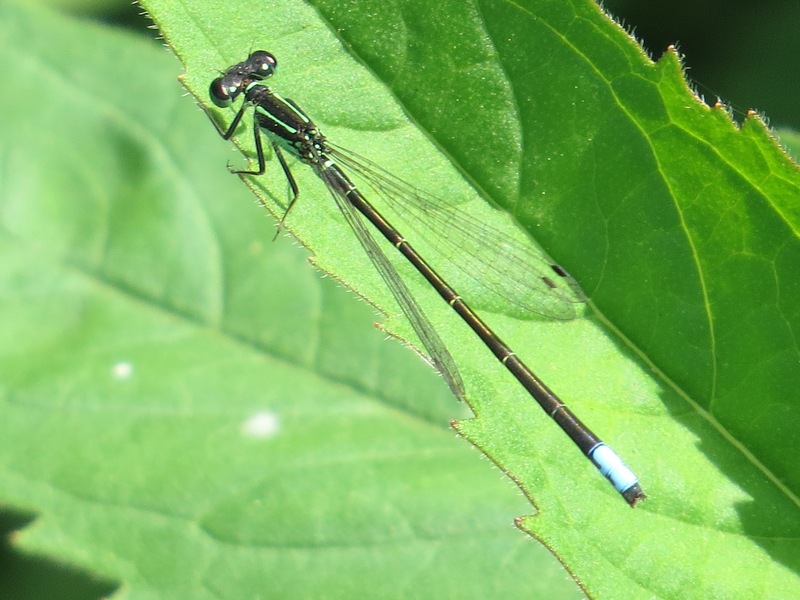 Familiar Bluet (Enallagma civile) male. 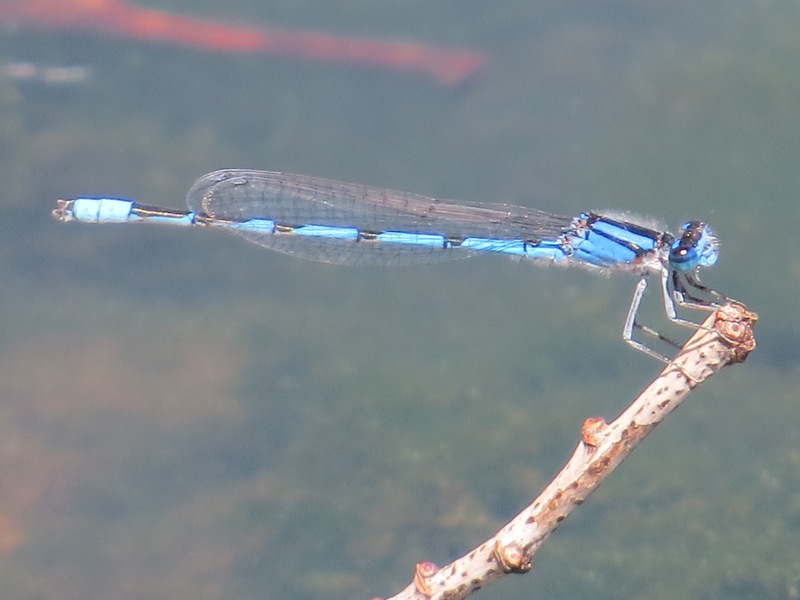 Familiar Bluet female, one of three color forms for this species. When odonating, you will quickly see that it’s males who patrol the water. Females are often munching away elsewhere, and come down to the water to pair up and lay their eggs in the wet stuff. 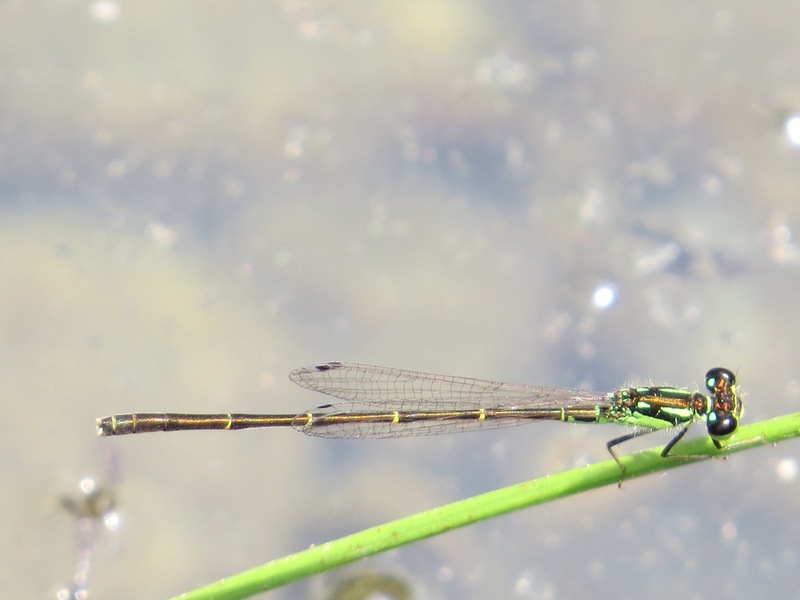 Orange Bluet (Enallagma signatum) male and female. 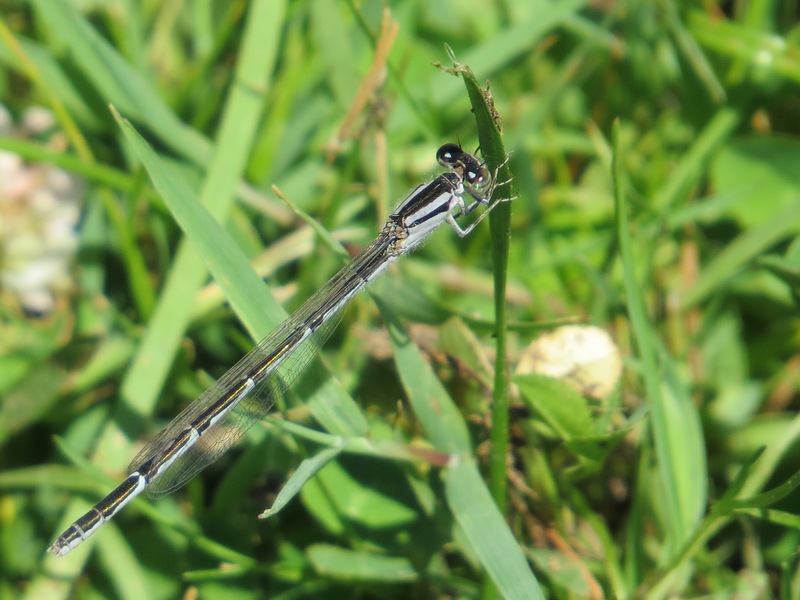 Fragile Forktail (Ischnura posita) male. 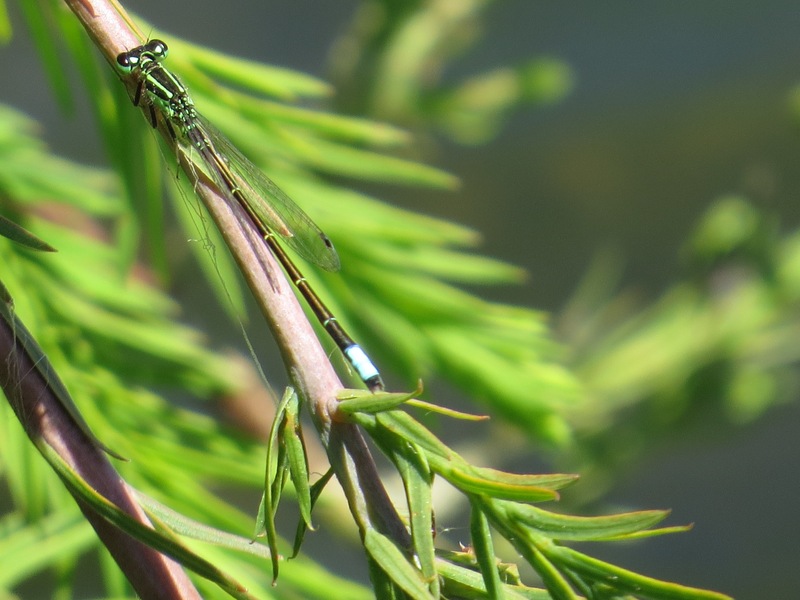 Eastern Forktail (Ischnura verticalis) male. And another: some definite photographic challenges with these living inch to inch-and-a-half long critters.